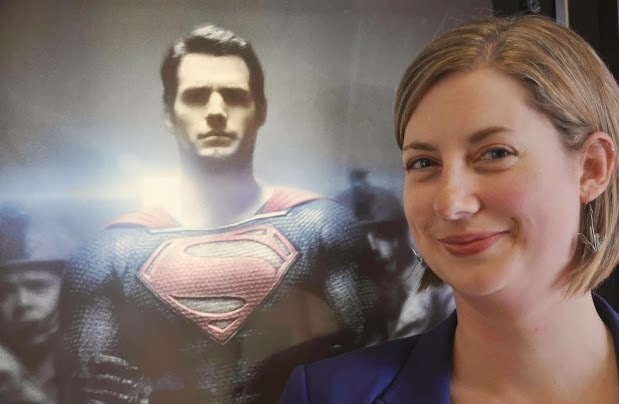 Learn more about UBC linguistics professor Christine Schreyer who developed the Kryptonian language for the movie Man of Steel. If you used the Glyph Creator for Man of Steel then you had your first lesson in Kryptonian. In the blockbuster hit Man of Steel we get the most in-depth look at Superman's home planet of Krypton ever seen onscreen. The development of the world included a redesign of the Kryptonian language by University of British Columbia Linguistic Anthropology assistant professor Christine Schreyer. She currently teaches a class on constructed languages like Star Trek's Klingon and Avatar's Navii. The Kryptonian writing was all over the set and costumes of Krypton. Even Superman's symbol is a Kryptonian language. Production designer Alex McDowell said, "Christine’s contribution to the design and meaning of Krypton in Man of Steel was crucial in a way that will not be fully understood by the audience, but without which we would have been missing a layer of meaning and legibility that in my view enriched the film immeasurably. "She also pulled together the anthropological logic of the language within our very constrained schedule, remarkably fast considering that the Na’vi language took more than two years to develop for Avatar." We're honored that she took the time to answer a few questions for our readers. Maurice Mitchell: For those that don't know, what job did you have on Man of Steel? Christine Schreyer: I was hired as a language consultant. I developed the linguistics behind the Kryptonian language, while Kirsten Franson, a graphic designer, created the writing system. MM: What was the most challenging part and how did you overcome it? CS: The most challenging part was keeping the details of my work on Man of Steel a secret from my family and friends. The days I was able to travel to the set and talk with others working on the movie helped with this immensely. It was fun being able to share in the development of the language with Kirsten, for instance. 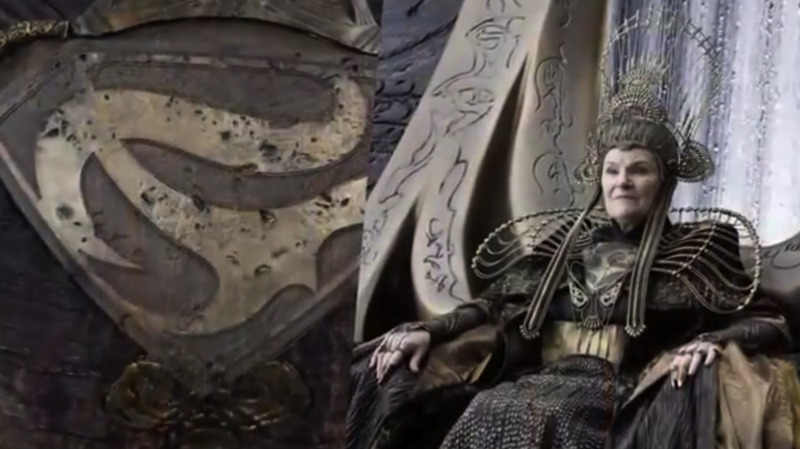 MM: Recently, Thor: The Dark World showcased the villain Malekith (Christopher Eccleston) who mainly spoke in the language of the Dark Elves. Do you think Man of Steel opened the door for fictional languages on screen? CS: Kryptonian is following in the footsteps of other languages that have been created for the screen, such as Klingon for Star Trek, Na’vi for Avatar etc, so while I don’t think it opened the door, I do think it’s cracked the door open a little wider. I think languages for movies and television shows will soon be commonplace. The creator of the language in Thor, David Peterson, has also created Dothraki for Game of Thrones, as well as two languages for the SyFy network show – Defiance. MM: How did you become a linguist? Has language always fascinated you? CS: I’m actually technically a linguistic anthropologist, which means first and foremost I am fascinated by people and they way that people use language differently in different contexts and social settings. I’ve always loved learning languages though, but it was the idea of learning more about people around the world, in different cultures that really has been my focus. I knew I wanted to do this since learning about the indigenous people of Canada in my grade 6 social studies class! MM: Do you know if the Kryptonian language will appear in the sequel? CS: I choose not to answer this question. I’d hate to give anything away for the sequel. MM: Drat. I thought I could trick you into giving up some secrets. So, what's next for you? CS: My work on Man of Steel has been a fascinating side-trip into language creation, which is also part of my academic research, but my “day job” remains teaching and researching language diversity at the University of British Columbia’s Okanagan campus. Thanks Christine! To learn more about Christine's work at UBC go to you.ubc.ca. Watch this short video that explains the thinking behind the language including why the name "Kal-El" is so important. How do you feel about Christine's work? What do you think of the Kryptonian language in Man of Steel? Do you think we'll see more created languages in the future and is that a good thing? A linguistic anthropologist? Fascinating. I think it would be cool if they included more of the language in the next film. It was pretty convenient that their symbol for hope just so happens to look like a letter S, lol. That was a great interview. There was quite a bit about the language creation in the extras on the blu ray disks. It's really amazing. How hard they worked to incorporate all that into the movie as nothing more than background is a testament to the level of detail they wanted to have. I liked the movie, btw. amazing interview! linguistics is really cool, and i love reading about how people come up with languages. tolkien is one of my favorites here (obviously)! Truly talented and what fun! What a cool job. Nice work, Chrisitne.